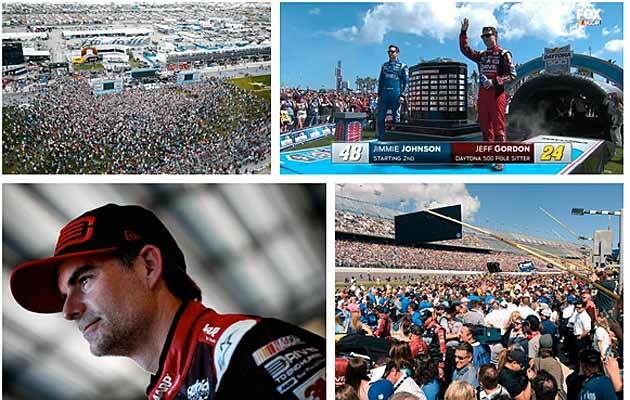 DAYTONA BEACH, Fla. — The 57th edition of the Great American Race did not disappoint. Though it featured a caution-lap finish, no one will argue that Joey Logano didn't deserve to go the distance. The fifth-place qualifier was awesome all day, thanks to a Ford racer that was fast and grippy all over the track. The win, his first in NASCAR's Super Bowl, gives him a free pass to the Chase and, effectively, now makes him a racing immortal. For a kid who was nicknamed "Sliced Bread" (by no less than Hall of Famer Mark Martin) coming into NASCAR more than seven years ago and had won all of two races during the first six years of his career before taking five in 2014, this just proves that the hype was not only real but that the 24-year-old Logano may just be scratching the surface of his potential. 4:48 p.m. — Joey Logano wins under caution after a backstretch pile-up claims eight cars including Jeff Gordon. 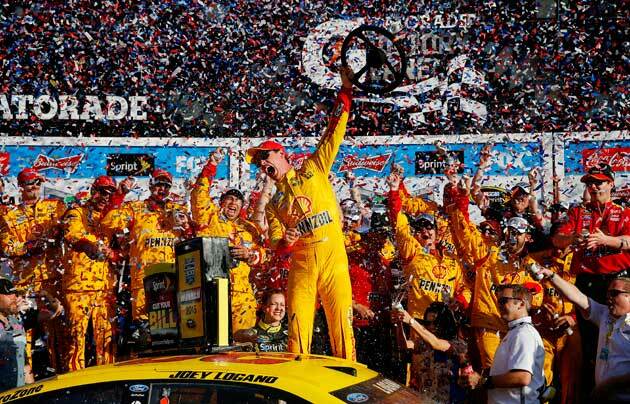 The caution came out when a mini-Big One sealed Logano's first ever Daytona 500 win. His previous best finish was ninth. What's more, he's now in the Chase. Huge, huge win for a kid who has carried great expectations from the word go. Gordon finishes his last (maybe) Daytona 500 in 33rd place—his worst result in three years. Tough way to go out. I can't help but feel guilty for bringing up that halftime stat earlier. 4:46 p.m. — Leader Joey Logano restarts on the outside line, with Clint Bowyer behind him. Denny Hamlin is inside. Then Kevin Harvick breaks up Bowyer and Logano with Dale Earnhardt jr. behind him. 4:44 p.m. — Less than seven minutes later, we rolling again under caution. An update on Justin Allgaier: He was treated and released from the infield care center. 4:42 p.m. — Back under caution after the cleanup. A mini-stat blast while we wait for the green: This race has had six cautions, 27 lead changes and elapsed slightly over three hours. There have also been 21 penalties. Now head to the fridge or the bathroom, and we'll see you again in a few. 4:36 p.m. — And the race has been red-flagged, allowing track crews to extricate Justin Allgaier's car and the millions of us who were holding our breath for these last few laps to exhale a bit. 4:31 p.m. — Four to go, and Joey Logano is still hanging on—although Denny Hamlin has a good look at his rear bumper. D'oh! Caution comes out with three to go when Justin Allgaier wobbles and crashes into the wall. The good news is that Allgaier didn't collect anyone with him. The bad news is this means the race will end on a green-white checkered, which won't be nearly as climactic as the green flag finish we were heading for. Another bit of good news, Logano is the master of the restart. I would not be surprised to see him defend his pole position and hang on to it. 4:28 p.m. — Leader Joey Logano and Clint Bowyer working together on the high line, with Bowyer pushing the Penske racer far into the lead with eight to go. In terms of handling, he's had the best grip. His No. 22 car is sticky all over the road. 4:25 p.m. — Three wide on the lead with 13 to go, and Jimmie Johnson is all over the track trying to defend his lead. Denny Hamlin and Martin Truex Jr. are pushing him. 4:22 p.m. — Jimmie Johnson leading with 17 to go as Dale Earnhardt Jr. falls disastrously off the pace and is now 14th. 4:19 p.m. — Back under green with 20 laps to go. There are 35 cars on the lead lap. 4:06 p.m. — Heading up for a thrilling finish. Margin between the top 24 is one second with 27 laps to go and Jimmie Johnson still in front. 4:04 p.m. — There are 31 laps to go. Jimmie Johnson leading Joey Logano with Dale Jr. third. The first 23 cars are within two seconds of each other. 3:56 p.m. — Now the rest of the pack comes in under green in waves, and it proves to be an especially eventful stop for Kyle Larson. He lost control of his Chevy while decelerating into pit lane, rushing likely to get a broken shifter repaired. So he has that going against him, along with his earlier pit road penalty. Jeb Burton picked up a penalty—on a pass through on that stop. All the while, Brad Keselowski, who seemed to be in control of his own destiny while running with the lead draft, tried to form his own lane; when no one followed, he sunk to 13th, then brought out the day's fourth caution when he seemingly spontaneously combusted exiting Turn 2. (He's in the garage now.) Meanwhile, the No. 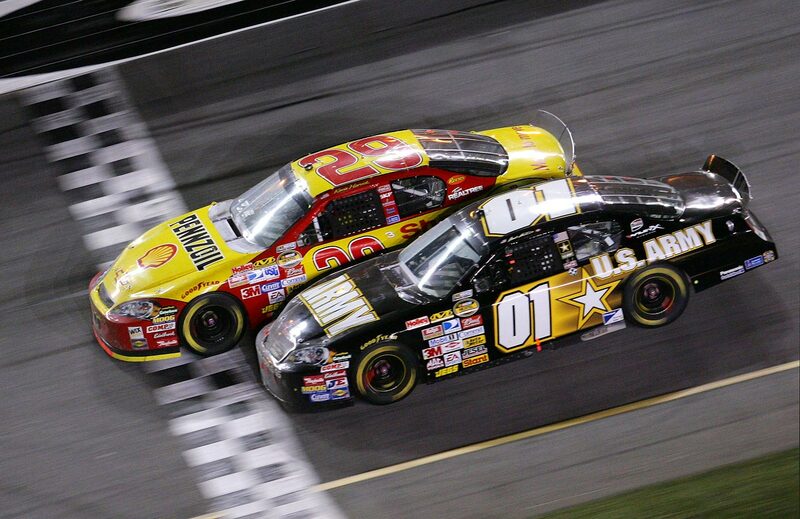 1 of Jamie McMurray and the No. 41 of Ryan Newman collided. They're being serviced now, as Jimmie Johnson keeps cruisin' in a nice recovery from his earlier problems. 3:53 p.m. — Fourth caution out as Brad Keselowski's engine goes up in smoke. Dale Earnhardt Jr. fell from second to 12th while addressing a fuel cell issue. We have 38 laps to go with half the field pitting to top up. 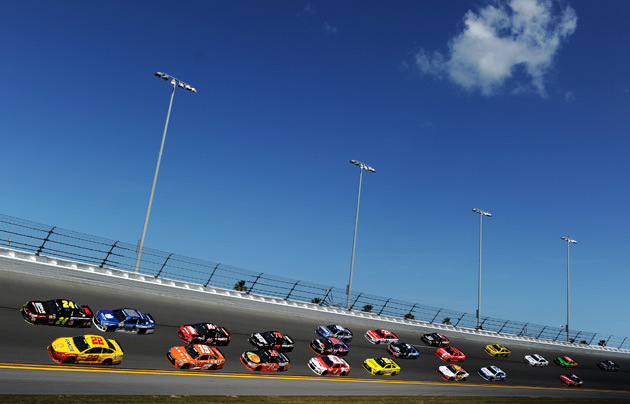 3:44 p.m. — With 50 laps to go Joey Logano has seized the lead.The No. 78 car of Martin Truex Jr. took what looks like the first late-race gamble, pitting by himself with 55 laps to go in a bid to move to the very front. The move will seem quite premature unless it pays off. 3:39 p.m. — And no sooner had I typed my last note about Tony Stewart's surprise return, Smoke bails out of the race again and pulls into the garage. Still chasing his first Daytona 500 win. 3:33 p.m. — Dale Jr. continuing to lead with 62 laps to go. Martin Truex Jr. has rebounded nicely from his flubbed pit stop earlier in the race. He's running fourth behind Austin Dillon, who landed on the pole here as a rookie. Sam Hornish, too, has found new life, steaming all the way up to seventh place. 3:22 p.m. — Ooops. Spoke too soon regarding Smoke. 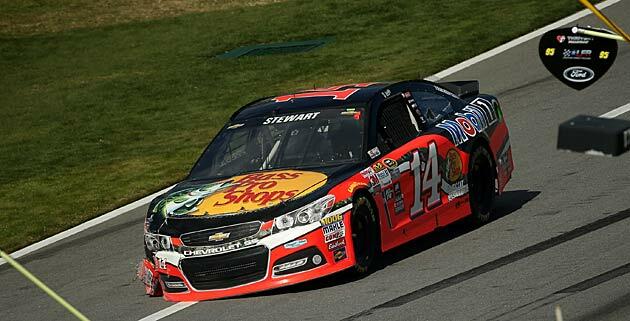 Tony Stewart is back on the track, but with no chance of finishing much better than where he is—P42. He's 64 laps behind. We've had 15 lead changes involving nine different drivers so far. Danica Patrick, BTW, is running 19th and has been in the top 20 for most of the race. 3:17 p.m. — And right as I typed that thing about Daytona halftime winners failing to go the distance, Jeff Gordon suddenly drifted to the back. No word yet on why. Meanwhile, Dale Earnhardt Jr. takes over as the lead dog with Kevin Harvick—'memba him? Reigning Cup champion?—stalking him from the fourth position three-quarters of the way home. 3:14 p.m. — Denny Hamlin grabbed the lead with 88 laps to go. Now Joey Logano has taken first in a duel with Dale Jr. as Clint Bowyer makes a move. Meanwhile, Chad Knaus ranted after the pit stop penalty assessed to Jimmie Johnson's No. 48 car: "We do not see what we did wrong. Our pit official did not tell us what we did wrong. We need some help so we can adjust, so we can appease you guys." Bonus points to him for using the word appease in a sentence about a stock car race. 3:12 p.m. — Casey Mears picked up more than 23 positions, to 10th place, on a fuel-only stop. 3:06 p.m. — Third caution comes out at 106 laps, for debris on the front stretch. Jeff Gordon still leads. Incidentally, six of the last seven drivers to lead the Daytona 500 at the halfway point have not gone on to win the race. I don't think anyone's told that to Gordon yet, though. He's seems like a man on a mission. Denny Hamlin, who gained four positions on pit road, is right behind him. 2:48 p.m. — Coming up on the first set of green flag pit stops. Matt Kenseth's No. 20 machine still looks shook up after his run-in with the wall. He's dropped like a stone from the lead draft and is now three laps down. It'll take a heckuva service stop to return his Toyota to full strength—and, make no mistake, it was mighty strong coming into the race. The upshot is that he has one of the best pit crews in the business. We're not yet halfway through the race, with no Big One to speak of. Don't count him out just yet. 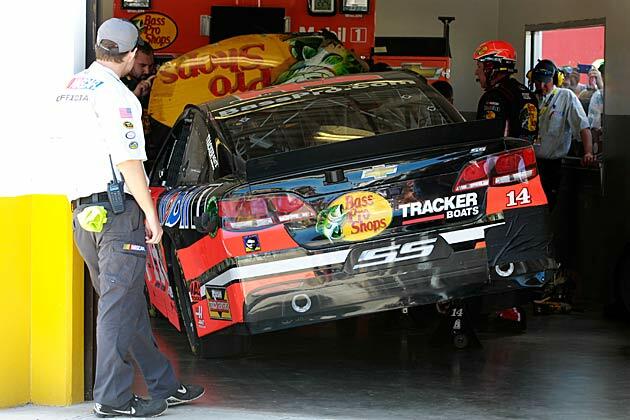 2:43 p.m. — A tough weekend for Stewart-Haas Racing just got tougher with Tony Stewart out of the race. The scene from his garage after he hit the wall. 2:38 p.m. — Jeff Gordon still leading in lap 75. Dale Jr. second followed by Martin Truex, Jr. with Kevin Harvick just outside the top 10 but in striking distance. 2:32 p.m. — First seven cars in single file through lap 65. Windy conditions in Turn 4 may be having an effect. 2:21 p.m. — Jeff Gordon leading in lap 51 after passing Joey Logano. Tony Stewart has gone to the garage. He's done for the day. Landon Cassill is also out. Jimmie Johnson is apparently having trouble. After leading early on, he's fallen back into the pack. 2:08 p.m. — In lap 39. Jeff Gordon has led for 24 of them. Dale Jr. now second followed by Carl Edwards. 1:58 p.m. — Back under green. Bobby Labonte and Cole Whitt picked up pit road penalties—respectively, for too many men over the wall and an uncontrolled tire. Landon Cassill evaluated and released from the infield care center. 1:50 p.m. — After 18 green-flag laps, we have our first caution. The smoldering No. 40 machine of Landon Cassill broke away from the pack, like a piece of meteor screaming through the ozone, and drizzled all kinds of fluid on the racetrack. No one made contact with him. His day is done. Meanwhile, the leaders come into the pits for fuel and fresh tires, with Jeff Gordon at the front of the line. Notable stragglers include Brad Keselowski and Sam Hornish Jr., frontrunners who are now running 40th and 42nd respectively. Flyover at the #Daytona500. Pretty sweet #NASCAR. 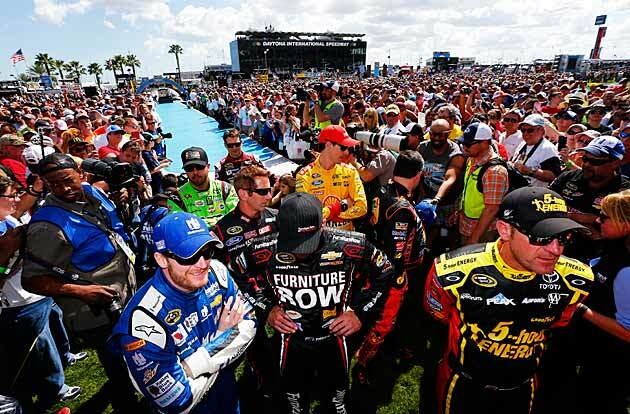 1:25 p.m. — Like the Super Bowl, the Daytona 500 is a huge TV event for advertisers. It will be interesting to see if the tone they set is as sober as it was just a few weeks ago. If there was a takeaway from that round of football branding, it's that dads are guilt-riddled creatures who deserve a break and that your kid might die. In the case of the purveyor of that last message, Nationwide, they promised to serve up lighter fare. And if you don't like what you see overall, there still might be time to submit a 30-second spot you think might go over better. Compared to the Super Bowl, the buy-in is bargain-basement—just $600,000. 1 p.m. — One last wave at the grandstand. Maybe. 12:40 p.m. — The tire packs now reinforcing the infield wall are not the only improvement project that Daytona International Speedway has initiated. It's also in the throes of an effort called Daytona Rising, which aims to make the track look and feel more like a stadium. So they're building concourses, adding escalators (a godsend to fans who are seeking the best seats in the house in the highest rows), and replacing seats—most of them 50 years old, with softer, comfier editions. The idea is to make the loyal fan more comfortable and give the first-timers an experience they've come to expect from any NBA or NFL arena. What's more, the speedway is spending $400 million of its own money to do all of this which, at least from a social responsibility standpoint, should be popular with Florida's heavily burdened tax base. 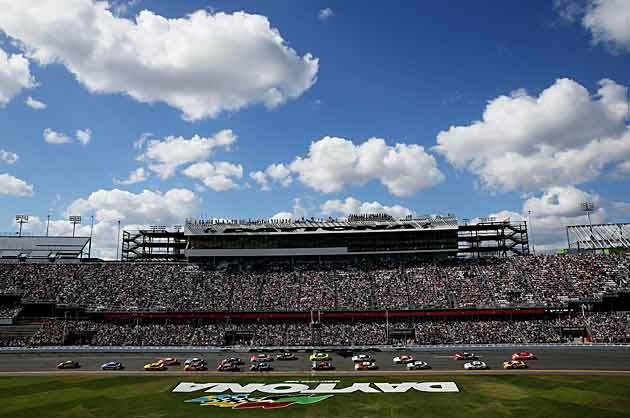 12:15 p.m. — As with many major sporting events, the Daytona 500 imports bold-faced names from outside its world to give it some extra star power. Some of those folks are here to work. Actor Vince Vaughn will give the command; Abby Wambach, Christie Rampone and Kelley O'Hara of the U.S. Women's Soccer team, will serve as honorary starters, American Idol Phillip Phillips will sing the National Anthem, and Paralympian snowboarder Amy Purdy, whose lower legs were amputated below the knee as a child, will drive the pace car. 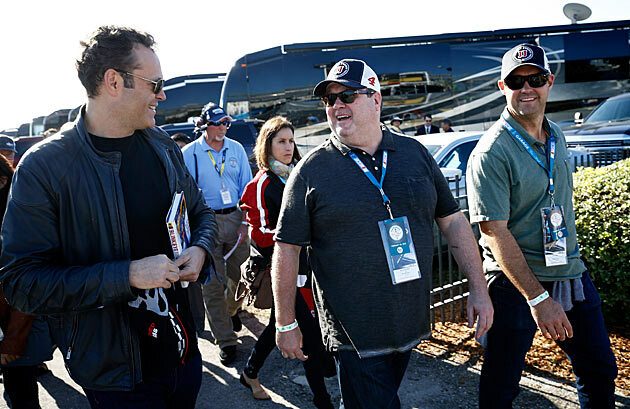 Other folks are here to be seen—like Modern Family's Eric Stonestreet (photo below, with Vaughn), an unabashed NASCAR fan; hip hop impresario and Junior supporter J. Cole; and the Dale Earnhardt of DJs, Funkmaster Flex—who is snapping selfles like its his job. 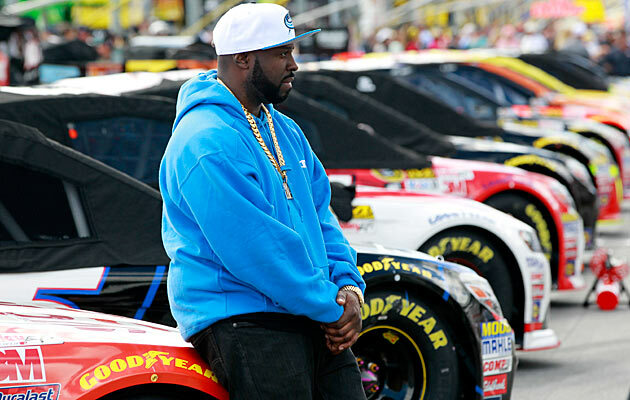 See for yourself at @funkflex. Noon — A note on the weather: it's beautiful (70s, clear blue skies, light wind—a snowbird's paradise). This is newsworthy because Florida has been in the cold grip of the polar vortex for the past two weeks. Interestingly, though, the 40ish-degree conditions have made for extra heated action on the track, as cars tend to stick to the track better. Better grip means more confidence, which has a habit of inspiring three-wide passing and crashes—as we saw in the Xfinity race, a fender-bending affair that, unfortunately, crested with Kyle Busch's accident. Speaking of that traffic incident, track president Joie Chitwood had workers laboring into the night to reinforce the infield wall that Busch drove into headlong. In fact, the news conference that Chitwood gave last night was a study in personal accountability. He immediately owned up to the mistake and pledged to fix it with tire packs until he could ring the entire speedway with SAFER barriers. 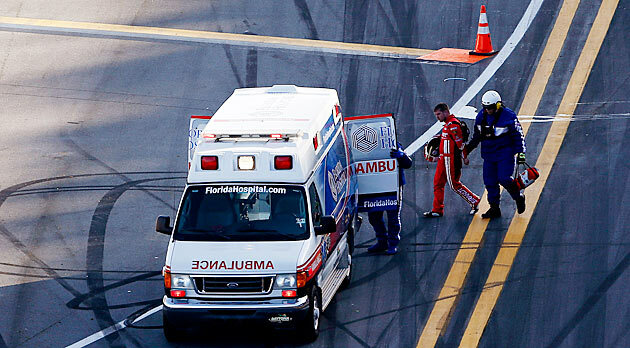 Indeed, Busch's crash was a wake up call for a sport from a safety standpoint. 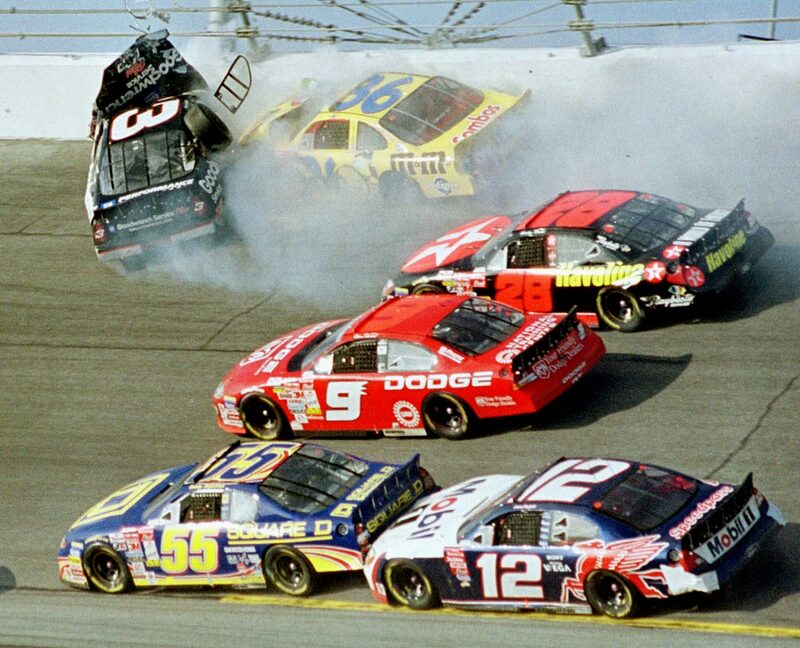 For all of its efforts in the wake of its last teachable moment, the '01 Daytona, NASCAR still has far to go. 11: 40 a.m. — Here's one right off the rip: The drama didn't wait for the green flag to drop. series race. (Unable to extricate himself from his car, he was rushed by ambulance to Halifax Health Medical Center, where he underwent a successful surgery. His team, Joe Gibbs Racing, is uncertain about how long he'll be sidelined.) Kyle's older brother Kurt was suspended indefinitely by NASCAR for his detrimental conduct off the track. (This, after twice appealing the decision on Saturday and twice being denied.) Respectively, their backup drivers will be reigning truck series champion Matt Crafton (who failed to qualify in his first and only Cup start last July) and Regan Smith (a veteran utility player making his third relief start for Stewart-Haas). Both super subs face heroic tasks. That's partly because they have to head to the back of the pack, per NASCAR rules, and partly because the guys up front are a trio of bad, bad men. On the pole, you have Jeff Gordon, a three-time winner making his perhaps his final 500 start. Right next to him is Jimmie Johnson, a two-time winner. Just off his left rear bumper is Dale Earnhardt Jr., the defending champion. Behind those Hendrick boys is a deep and experienced field. (In fact, more than a handful of those cars qualified at over 201 mph.) Ahead of them, of course, is The Big One. Who will win? My hypothetic money is on Gordon, with Ryan Blaney taking top rookie honors. Even if that prediction doesn't come to pass, this race should be a good'n. 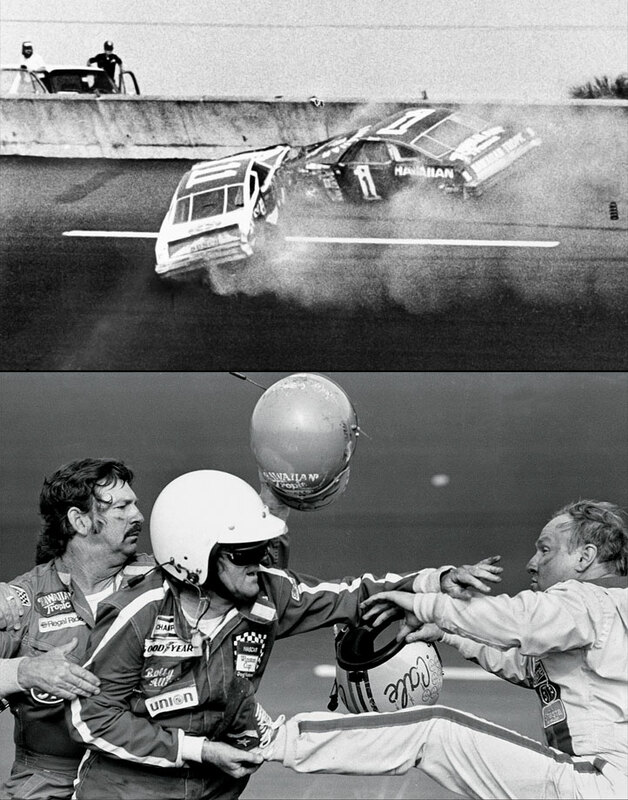 The first Daytona 500 set a high bar for drama. Lee Petty and Johnny Beauchamp battled to the finish line -- with the lapped Joe Weatherly above them -- in a race too close to call, although Beauchamp celebrated what he thought was a win. Days later, NASCAR officials discovered -- after viewing a still of just-developed news reel footage -- that Petty had actually nosed the finish line first and was declared the winner. Richard Petty led on the final lap. 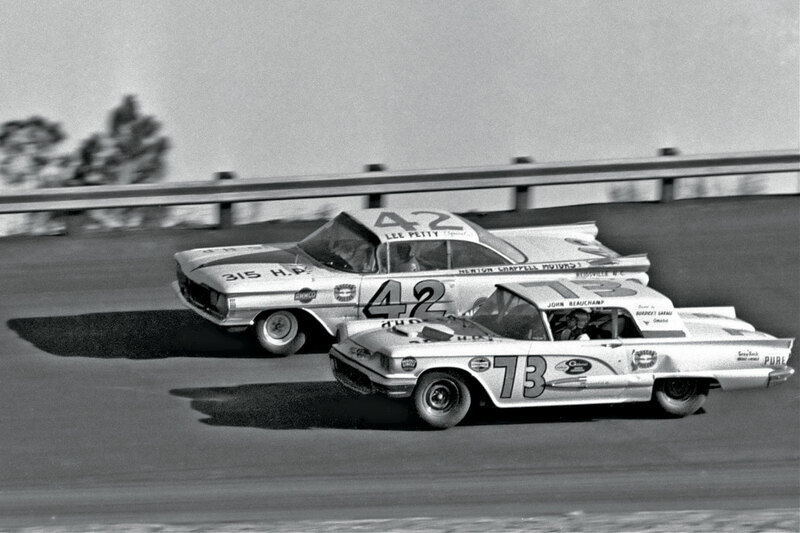 Friend and rival David Pearson whipped past for the lead out of Turn 4. Petty made a last bid for the lead but nudged Pearson, sending both sliding onto the grass near the finish line. Petty was unable to re-fire, but Pearson nursed his car across the finish line for the victory. A snowbound East Coast watched the first live flag-to-flag Daytona 500 in 1979 and bore witness to one of the more sublime moments in NASCAR history as Donnie Allison, later aided by his brother, Bobby, and Cale Yarborough fought on the side of the track. 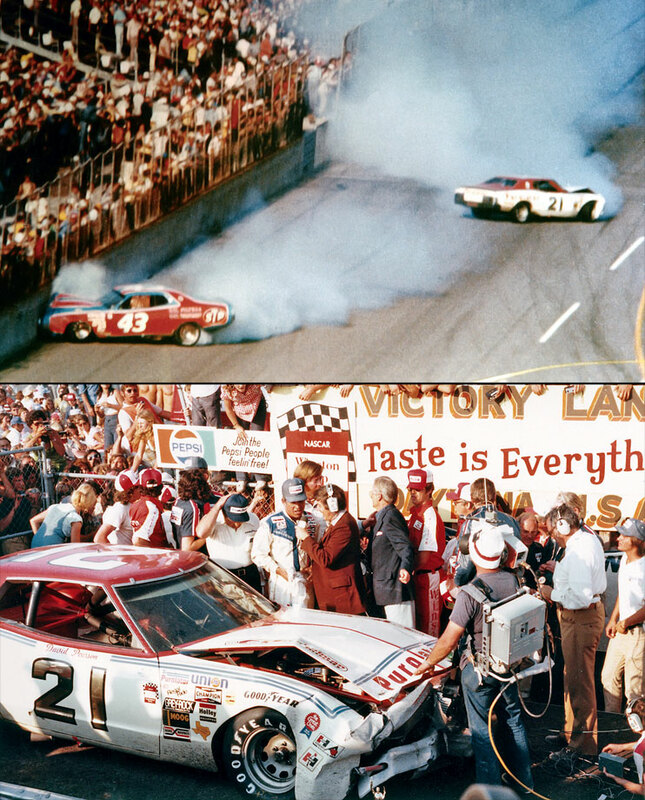 Donnie Allison had sparked a wreck when Yarborough attempted to pass for the lead on the last lap, allowing Richard Petty to steal away with the win. The spectacle ignited a new national interest in what had been a Southern pastime. Richard Petty's No. 43 Pontiac was involved in one of the most horrifying wrecks in the history of a speedway that has been the stage for ... horrifying wrecks. 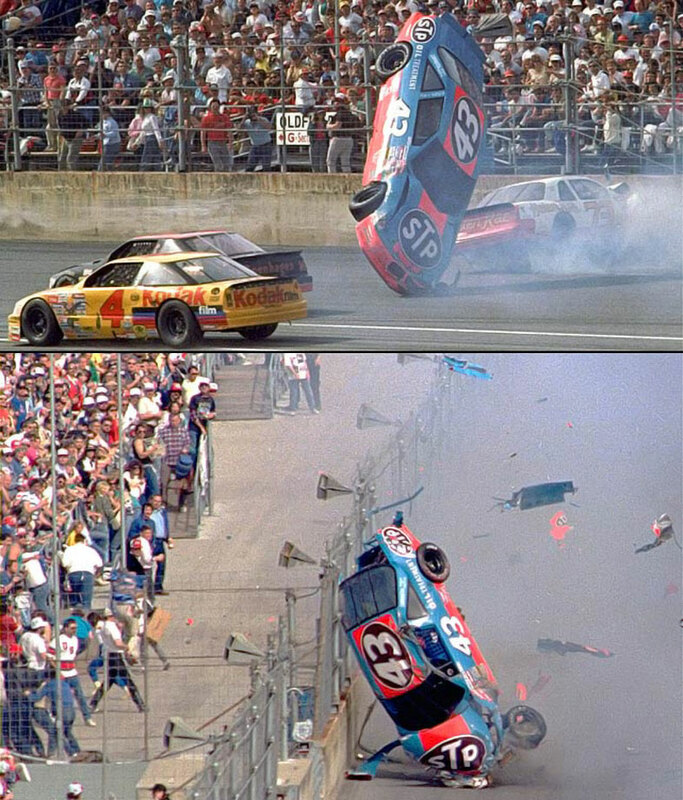 Petty was launched into the fence on Lap 106 and his car rolled along the fenceline, down the front stretch until tumbling back onto the track and disgorging parts as it was rammed by another race car. Petty walked away virtually unharmed except for a temporary vision problem. 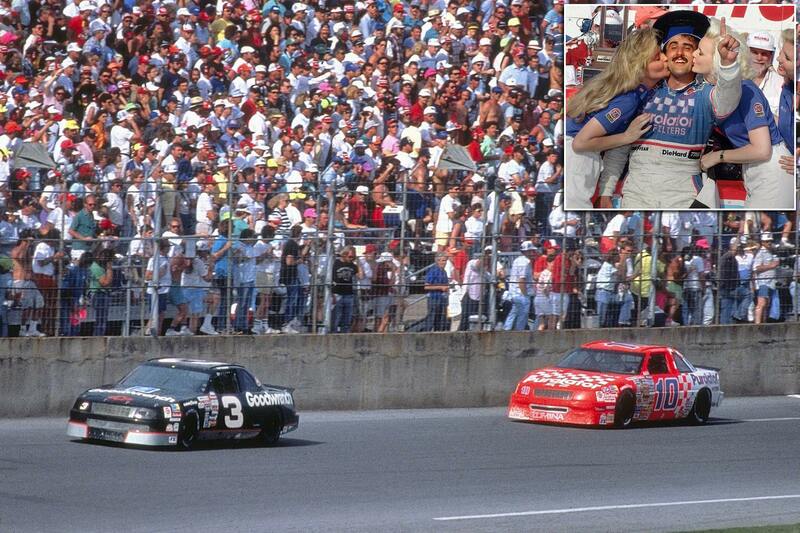 Dale Earnhardt's notoriously cruel fortune in the Daytona 500 was never better illustrated than in 1990, when a cut tire in Turn 3 of the final lap cost him a victory and allowed Derrike Cope to pass for the win. This was the same Derrike Cope who notched only two career wins, one of them coming at the Daytona 500. Earnhardt's career wins: 76, one in the Daytona 500. Dale Earnhardt endured two decades of frustrations and tribulations in the Daytona 500, despite dominating nearly every other form of racing at the speedway. 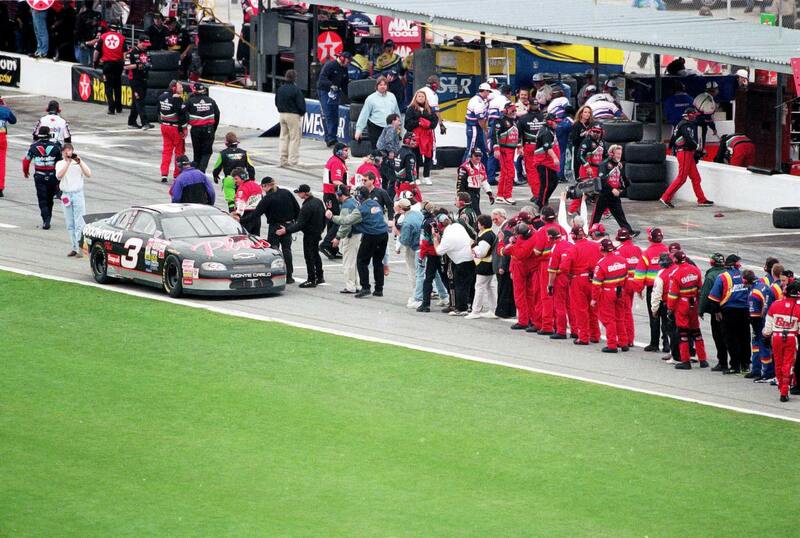 When the veteran finally claimed his only Daytona 500 win in 1998, colleagues and competitors lined pit road to congratulate him in a long reception line up pit road. Millions of fans lost their living legend on Feb. 18, 2001 when Dale Earnhardt, 49, was killed on the final lap of the Daytona 500. Earnhardt was battling, blocking, pushing until the end, when his No. 3 Chevrolet nosed into the Turn 4 wall. His death gave greater momentum to a movement toward greater safety development and implementation, and likely saved scores of drivers who sustained similar crashes in the ensuing decade. Dale Earnhardt Jr. turned DIS into a mass of celebrating, crying, exulting true believers in 2004, passing Tony Stewart on Lap 181 of 200 and winning NASCAR's most important race for the first, and to this point, only time. 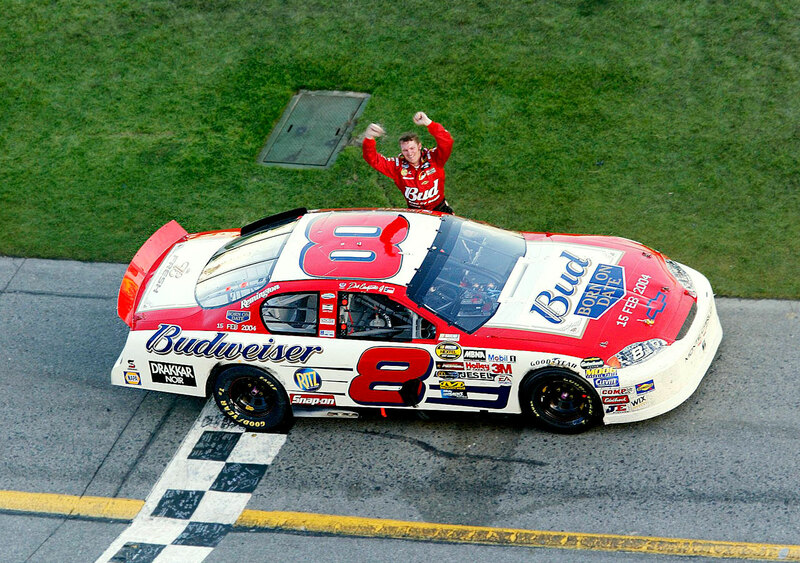 Earnhardt Jr. had finally claimed the biggest prize where his namesake and father had perished on the final lap of the 2001 Daytona 500. Rules seemingly should have dictated that the running order was locked when a melee broke out behind leader Mark Martin and Kevin Harvick's drag race to the finish line in the last few hundred feet of the 2007 Daytona 500. Or when Clint Bowyer's car went sliding upside down, showering sparks like a satellite re-entering orbit. 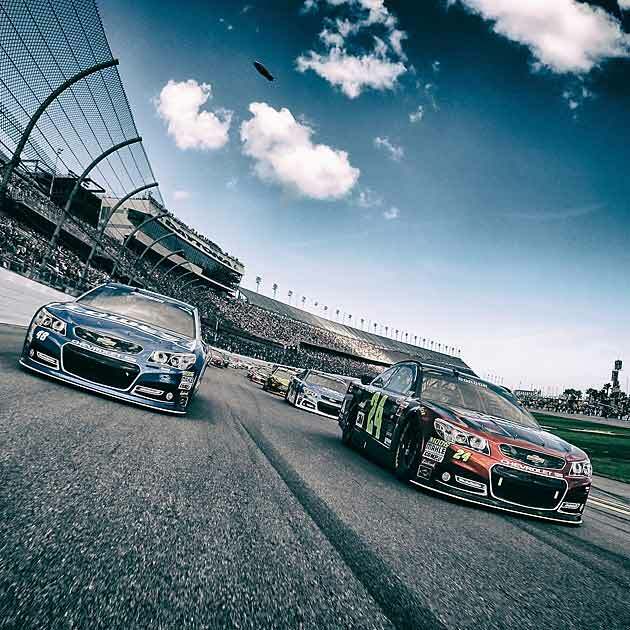 But officials allowed Martin, who is winless in 51 starts at Daytona, and Harvick to duel to the final and Harvick nosed the finish line .020 seconds earlier. It was an upset for the ages. 20-year-old Trevor Bayne, in only his second Sprint Cup start, held off Carl Edwards to capture the checkers at the Great American Race. 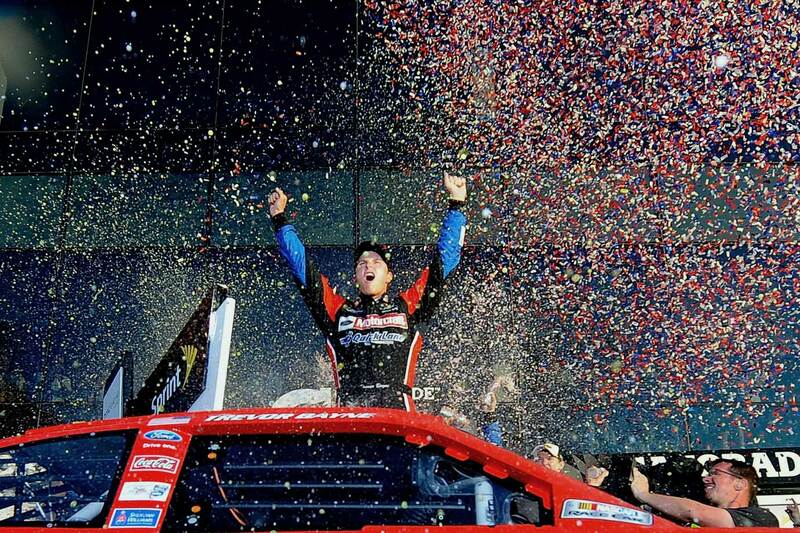 In the process, Bayne became the youngest driver to ever hit Victory Lane in NASCAR's biggest race.